GLADSTONE PCYC Roller Derby hosts its final roller disco of the year on Friday, December 13 - so prepare for a creepy Christmas celebration! The theme of the evening is A Nightmare Before Christmas, and young and old are invited for skating, music and games. 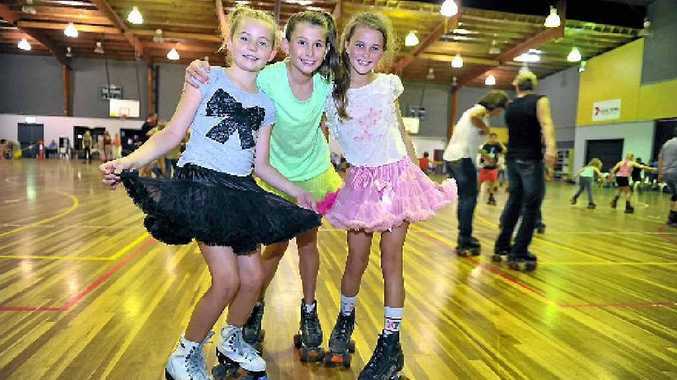 It runs from 6.30-9pm at the Gladstone PCYC, Yarroon St. A $10 entry includes skate hire. Dress-ups for the theme are encouraged, and the fundraiser helps support the fast-growing sport of roller derby, and gets the league's travel team, the Harbour City Hustlers, on the road for tournaments and events. Want to know what's on this weekend? Check out our list!